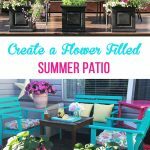 Create a Summer Flower Garden Patio! 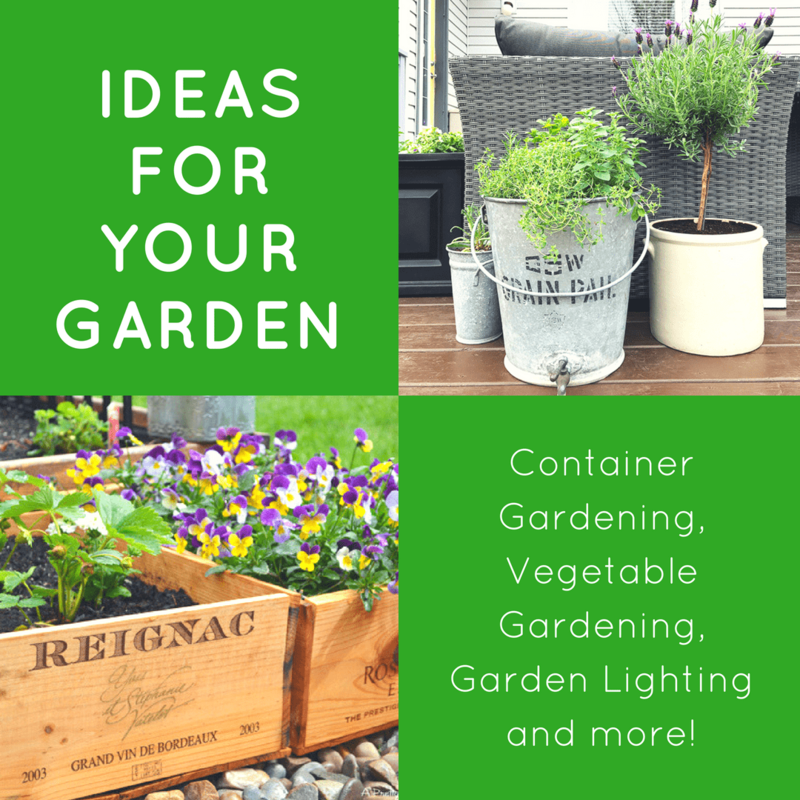 With a container garden create a beautiful summer space on your deck or patio! 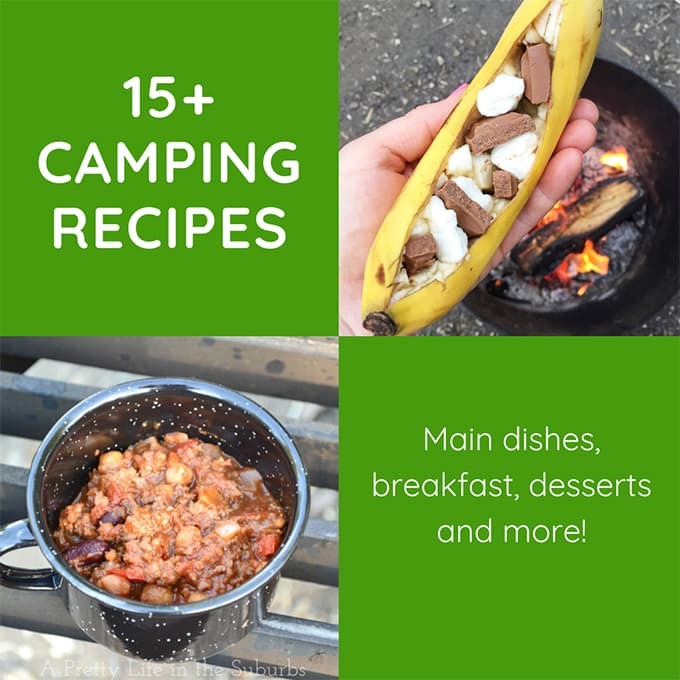 Here are some tips to help you! Welcome to my summer home! It’s a flower party all up in here. We have been having the most wonderful weather this spring/summer, and it started so early which has been fantastic for my plants! My flowers have never looked this amazing this early in the season! And with such a short growing season, this makes me very, very happy. 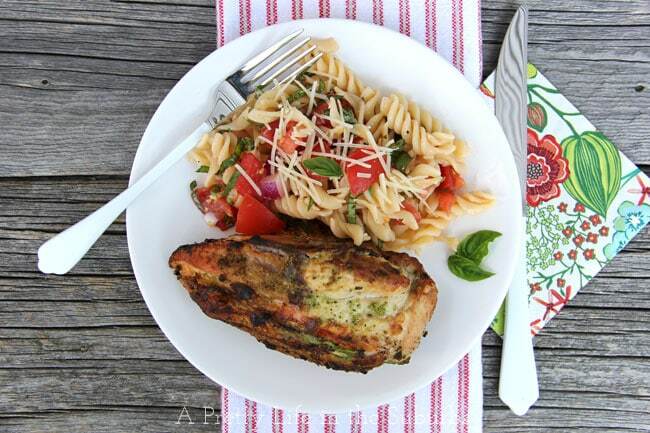 As I mentioned before, I am working with Lowe’s this season to bring my patio garden to life! As part of this garden project I have put all of my gardening efforts into an oasis on my back deck, using nothing but containers. We’ve even removed flowerbeds so I could concentrate on just taking care of all of my planters, and am I ever happy that I have chosen to garden this way. With life being so hectic, it’s just so much easier for me to take care of potted plants that are right outside our patio door. Not to mention, that walking out onto the deck feels like I’m walking into a sea of flowers. 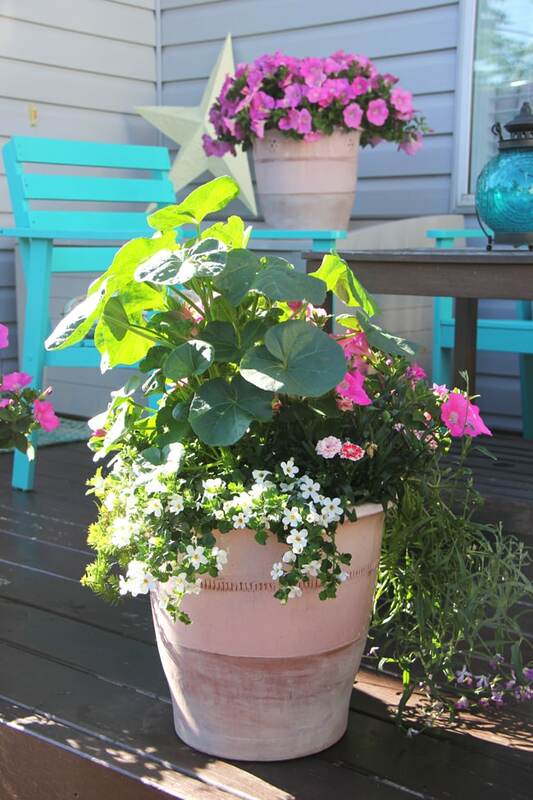 Container gardening is so easy and perfect for spaces like decks, patios and even balconies. Creating a container garden is like adding a whole new room to your home! I always look forward to decorating our deck for summer, and this year I really had some fun. 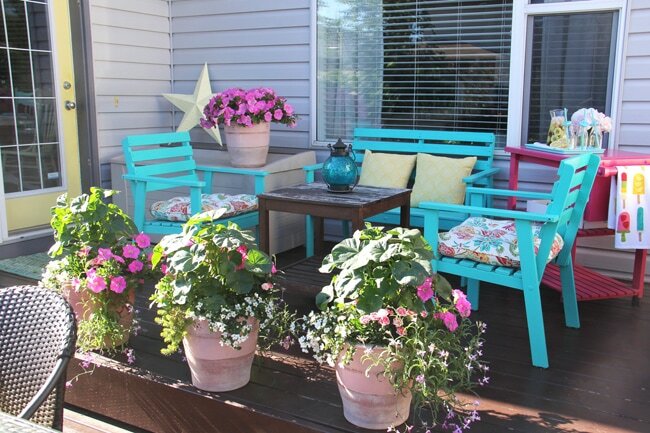 Decorating a deck space in the summer is so easy when the stars of your show are the plants! 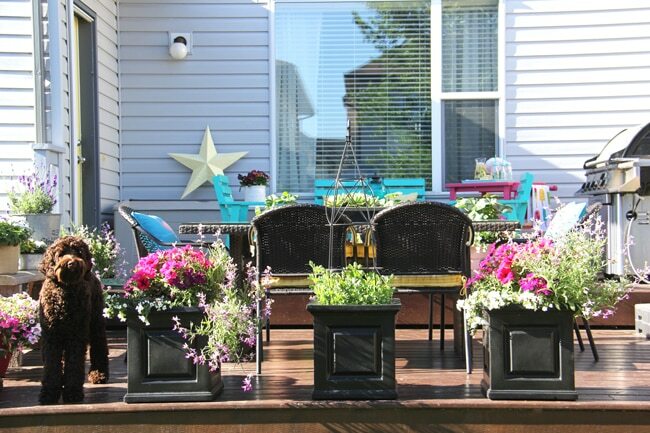 Once you have your flowers and planters arranged around your deck space, the rest is easy. Here are some tips so you can get your container garden growing, and create an outdoor space you’ll never want to leave! You may wonder what is so great about a container garden, so let me tell you why I love them so much! First, flowers are the best accessories! They come in so many different varieties, colours, shapes, and sizes, which makes them perfect for decorating. Having a container garden on your patio is like creating a whole new room for your home! All of your containers and flowers are right at your fingertips, so watering and plant care is easier than ever. Because your planters are close by, you can have as many containers as you desire! The more the better. You can be creative with your plantings! Experiment with different flowers and colour combinations. Shrubs and berry bushes can even live in this space. An empty patio space is a garden just waiting to be filled. With some simple tips, you can transform your patio into a flower oasis! Choose plants and flowers to match your decor and accessories. If you like bright and cheery colours, like I clearly do, choose bright and cheery flowers. If you like a more quite kind of space, choose neutral coloured flowers. Really, the possibilities are endless! But, pick one colour scheme and try to stick with it. That way, your deck space will look more cohesive. I have a lot of deck accessories like chairs and pillows that are turquoise, yellow and pink, so I try to match our flowers to them. This year I went with a pink, white and yellow colour scheme and it matches everything perfectly. The more flowers the better! True story. I love a patio space that is filled with foliage and flowers. Use planters to create outdoor ‘rooms’. If your patio space has an area for eating and a separate area for relaxing, you can use planters as ‘room’ dividers. As you can see in the picture above, I have used 3 containers of flowers to separate our sitting area from our dining area. Use planters to create a deck entrance. Because our deck is so filled with planters, I used 2 flower containers as an ‘entrance’ onto our deck, so the kids and dog don’t walk through my plants, thus damaging them. Group your planters in odd numbers for best impact. A row of 3 or 5 identical planted flower pots makes a big impact! If you love the scent of flowers, make sure to plant flowers that carry great scent. Petunias and dianthus smell wonderful. I also like to plant Evening Scented Stock all over my deck so it smells amazing at night! Leave no space empty! If you have empty corners, add a pot of flowers, or use the space to place a container of herbs. Turn a dead space into a reading nook and place some containers there to define the area. Don’t be afraid of colour! Add colour to your space with bright and cheery flowers. 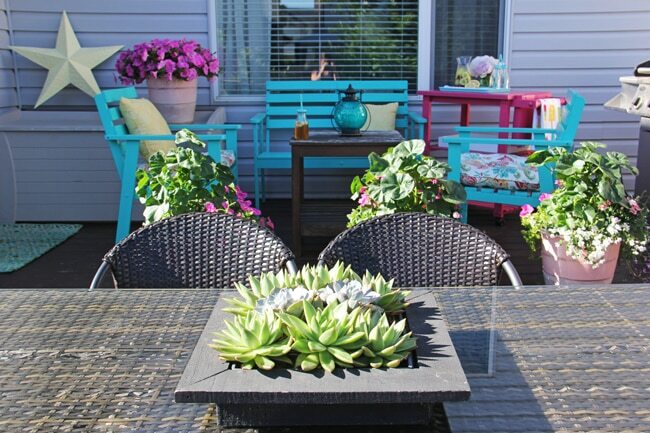 A shallow planter of succulents makes a great centrepiece on your outdoor dining table. 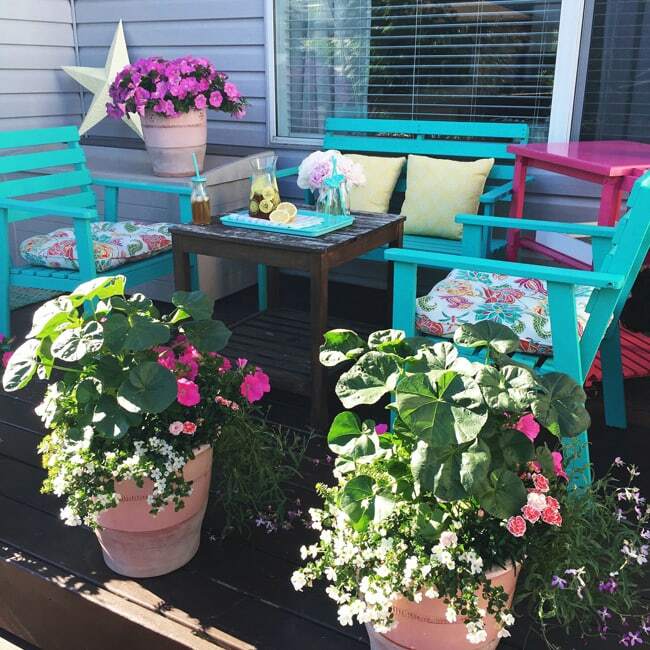 To tie all of your newly planted flower containers into your patio space, here are some ideas for complimentary deck accessories. Make your patio space cozy! Add tonnes of pillows and have blankets readily accessible for chilly nights. Don’t forget about ambient lighting so you can enjoy your deck at night. 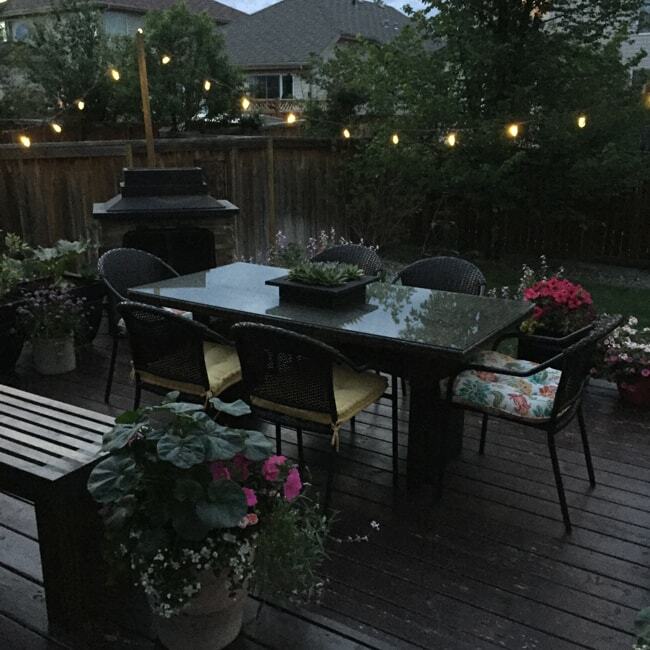 Add solar powered lanterns, or candles, or string lights around your deck space (see image below). This year I strung 4 sets of patio lights around my deck, and I am in LOVE with how it looks at night. I foresee many summer night parties! Add outdoor heating like an outdoor fireplace or patio heater. Don’t forget the accessories! Add colourful lanterns, cheery wall art, and pretty pillows. Add a water feature to create a calm and relaxing space. Our water feature is one of my favourite additions to our deck space. 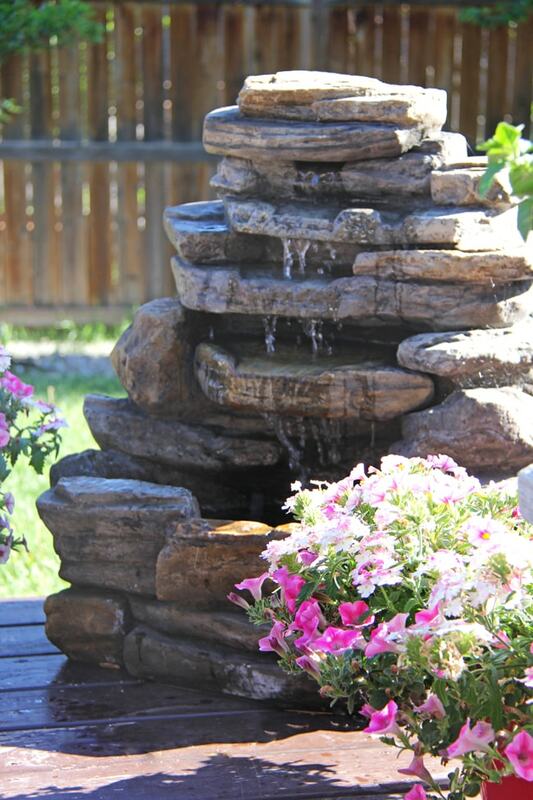 Water features are a wonderful addition to your summer patio! So relaxing. Don’t forget to enjoy your patio space at night! Many flowers smell the best in the evening so you can enjoy them at night too! Add some string lighting or candles. Invite some friends over and have a fire. 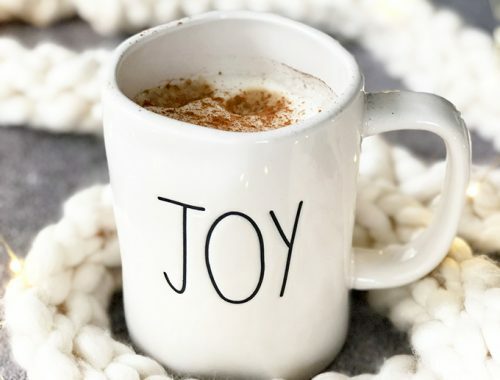 Just enjoy all of your hard work! Disclosure: I am working with and am compensated by Lowe’s Canada, to bring you tips for container gardening! But as always, all thoughts, ideas, opinions and such are my own. 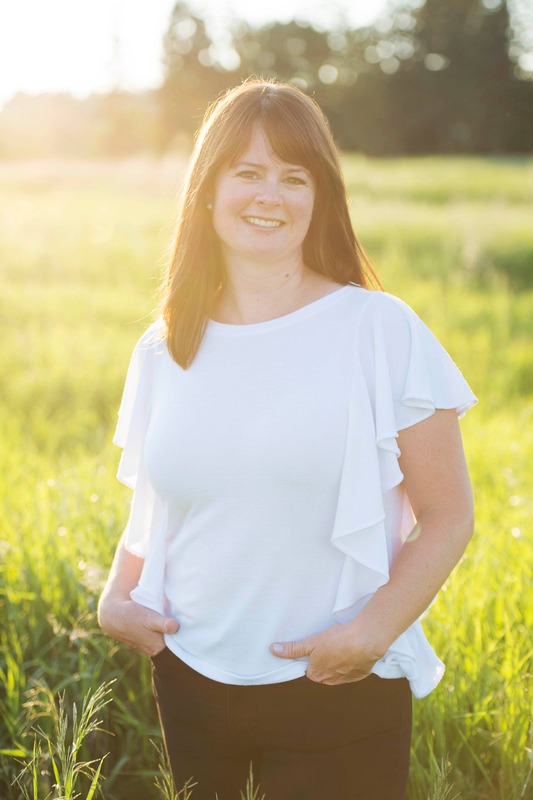 I just really love gardening and am thrilled to be able to share ideas and tips with you! Which brew did I choose? 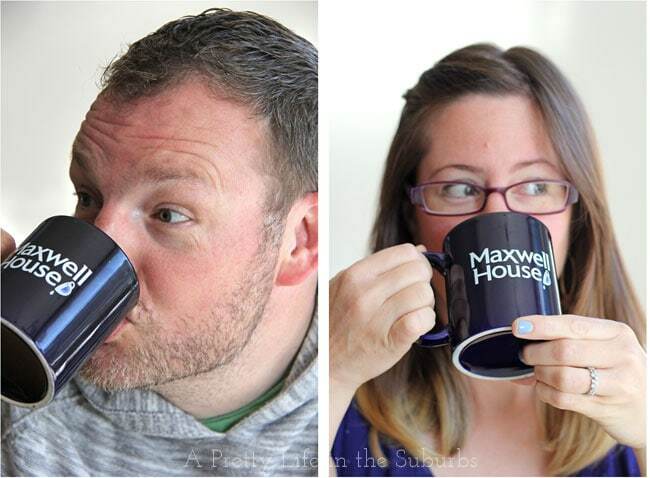 Trying the New Keurig®*Compatible Pods! I’d like to recreate the sitting area. Where did you buy the furniture and what colors did you use to paint? Thanks! Wow ! You have created a magical space. 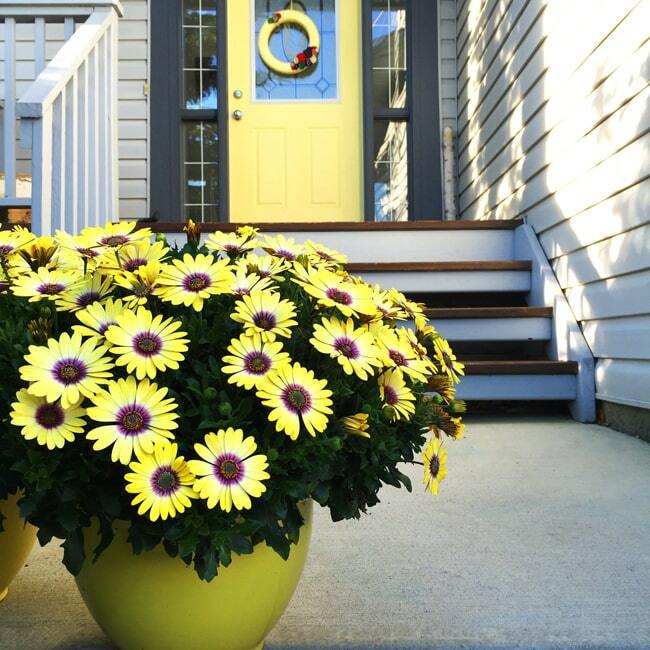 What is the name of the yellow plant by the yellow door ?? Thanks Jo-Anna, you never fail to inspire me! Oh thank you so much Sam! That really means a lot! So pretty and cheery! I love it! I’m envious of your gardening skills. I hope that one day I can learn to garden. I find it hard to keep anything alive here in AZ except desert plants. Thank you Melissa! I bet gardening in AZ is really tough! I’m not sure I could do it haha! Your patio is gorgeous! You did a super duper great job, and I love everything about it. Thank you! Thank you so much! 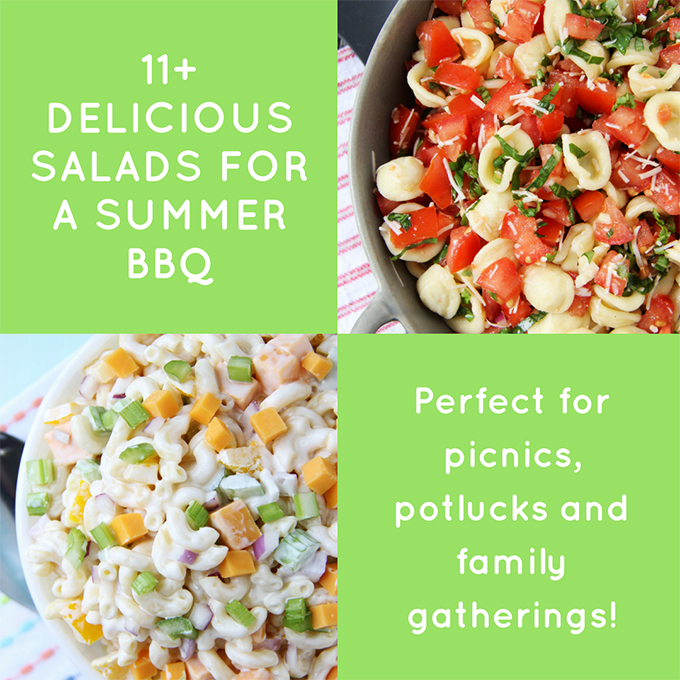 We’re really enjoying it this summer! Your deck looks so inviting. 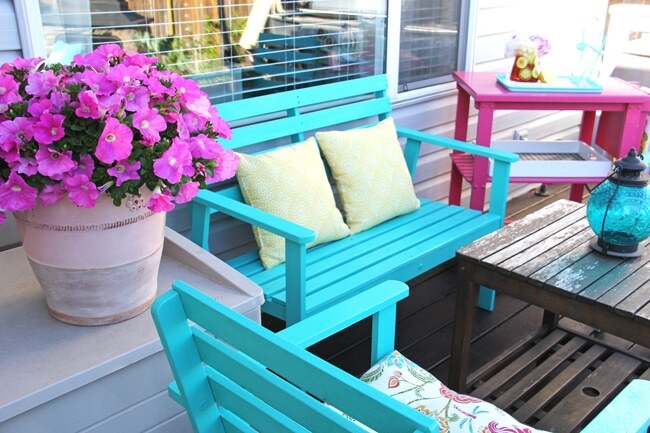 The bright furniture is beautiful and all of the container flowers really make the space sing.